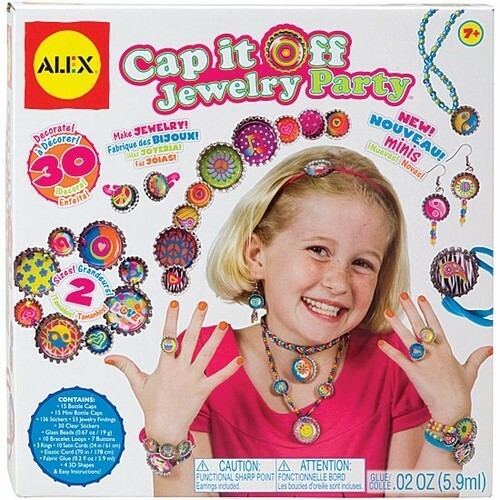 Wow I can make so much different jewelry with Cap It Off Jewelry Party by Alex Toys! 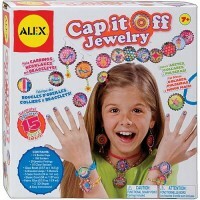 The kids fashion accessory craft kit comes with 15 bottle caps and 15 mini bottle caps so I can make all my favorite trinkets in two different sizes! 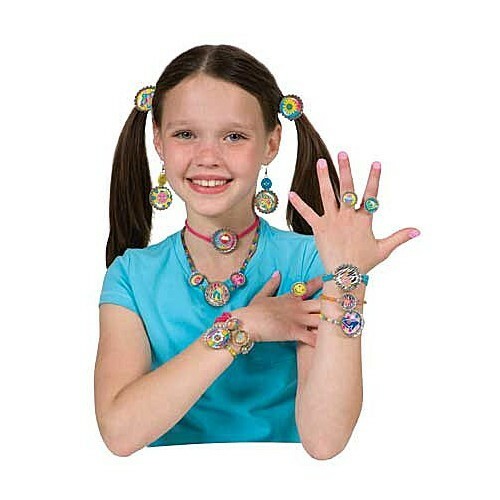 I can make 3 gorgeous rings and cover them with any of the 136 stickers, or I can use the 53 jewelry findings to make something completely new! 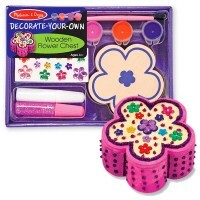 This bottle caps craft kit also contains 30 clear stickers and 7 buttons, giving me even more ways to decorate my bottle cap creations! 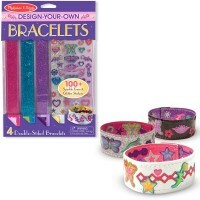 With 10 bracelet loops, 10 satin cords, and an elastic cord, I can make jewelry for every occasion! 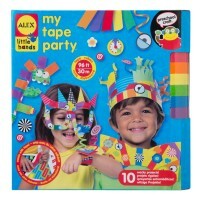 Then, if I still want to add anything, there are 4 3D shapes to stick on using the fabric glue! 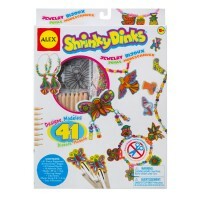 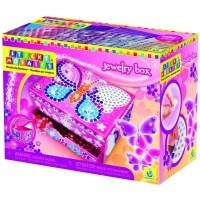 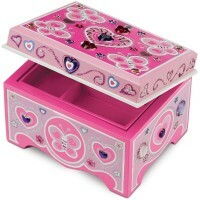 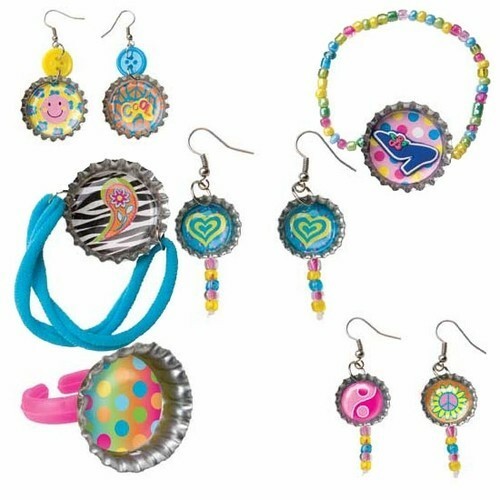 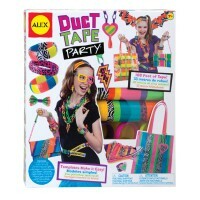 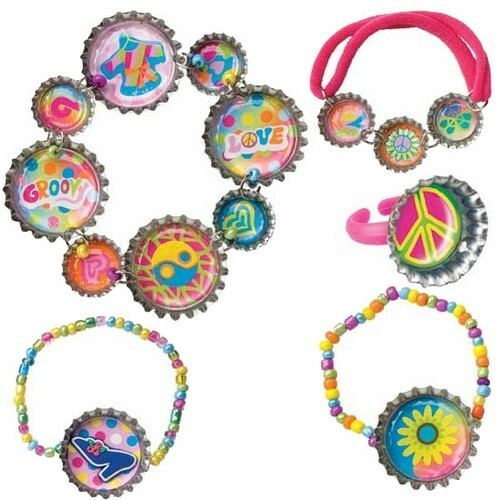 All of this is included in Cap It Off Jewelry Party girls craft set, available from Educational Toys Planet. 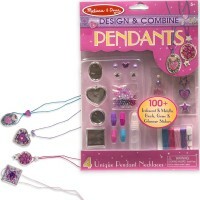 Dimensions of package 11" x 11" x 2"
Write your own review of Cap It Off Jewelry Party Craft Kit.